Type: Annual student publication put out by the Grand View English Department. It features students' creative writing, poetry, photographs, and artwork. Role: Editor-in-chief and design director. 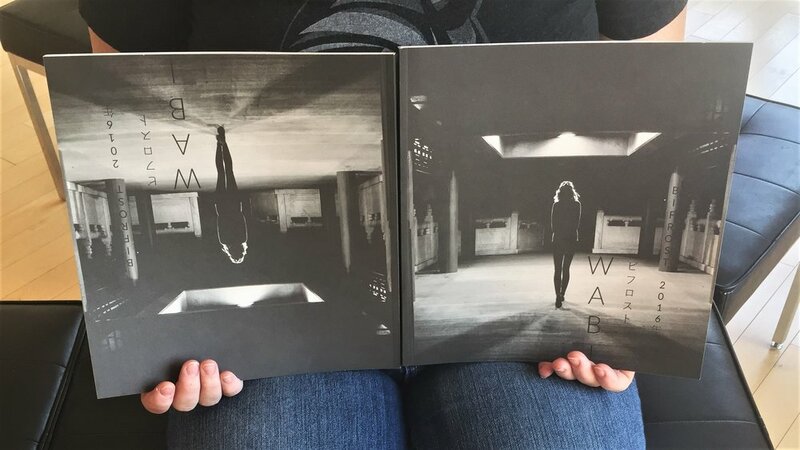 Two copies flipped upside down so that both sides of the cover can be seen. Here the same two copies, but one has been flipped to show that the reader must turn and flip the magazine to read the other half. The sections lead into each other with student's pictures of doorknobs and by having the titles flip. The layout of the magazine is in grids that drew inspiration from tatami mats. Each piece is numbered, show by the English number and then with the Japanese character with it. Drew inspiration from books like this. And links such as the Stanford Encyclopedia of Philosophy: Japanese Aesthetics. 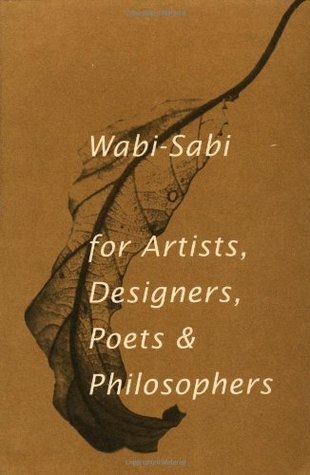 The magazine is laid out into two sections, "Wabi" and "Sabi". 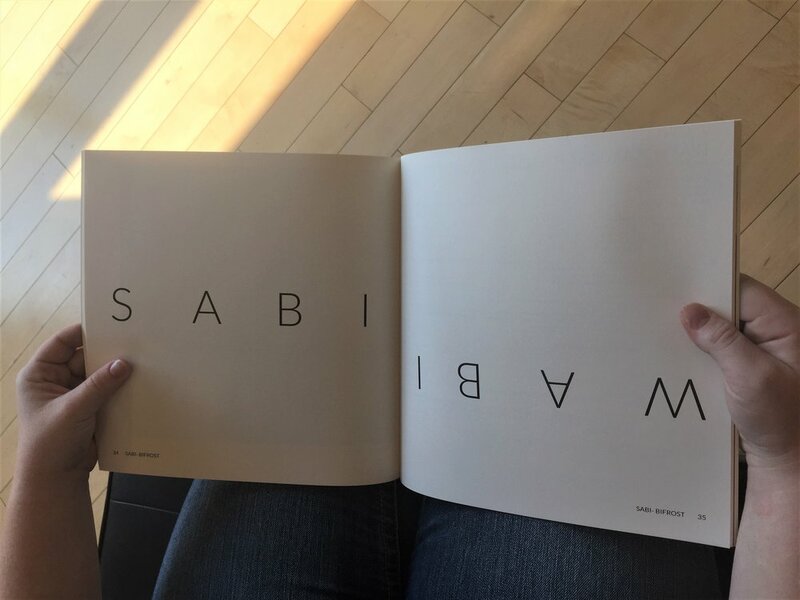 We split them into two sections, but one whole magazine because some argue that wabi-sabi are two separate philosophies, while others argue that they are connected. I also drew inspiration from how the Japanese traditionally read. They traditionally format their books the opposite America does- they read their books right to left. So in some form, the reader of Bifrost has to read the magazine "backwards" in order to see the whole picture. The table of contents is also laid out vertically with inspiration from how the Japanese traditionally read. I had a great team of editors that I helped pick for this year. They helped me edit the magazine and were generally awesome. Our advisor, professor Dr. Brooke, was also very helpful and guided me throughout the process. Overall, I'm really pleased with how the magazine turned out and I think it's very unique from past editions of the literary magazine.